Buttercream is the common and basic frosting due to its easy application. It allows you to make what you want it to look like. 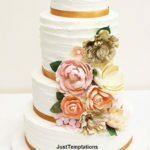 For example, if you are preparing a cake decorating flower shape frosting, you can eliminate the half quantity of your buttercream and mix the equal amount of solid vegetable shortening so that it can easily hold the shape of a flower. 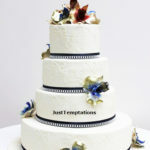 From thick to thin, the cream cheese frostings come in different consistencies. You can use it for both icing and filling. This frosting is prepared from the cream cheese, sugar, whisking butter and flavoring that can refrigerate when you are done the cake icing. The cooked frosting is made from the albumen (egg white), sugar and flavorings. After a heating process, you can eat the first day. Later, it may absorb in the cake. 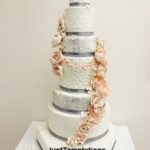 Rolled and pour-able are the two types of fondant. The rolled fondant is made of sugar, gelatin, water and food grade glycerin and it is often used to decorate the cake. Due to a glossy finish, the pour-able fondant helps in making a coat of a cake or cupcake. Royal icing is primarily used to create artistic decorations on your cake. When it dries out, it becomes hard and enables you to design it in different styles. Remember, the royal icing is widely used for decorative purpose and less enjoyable to eat. By using any of these varieties, you can produce a delicious cake. If you prefer to eat cake rather than bake it, then we can make it for you. 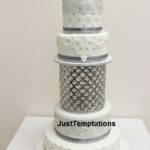 At Just Temptations, we make delicious cakes for any occasions.